The house where a celebrity has lived can be used as a tourism resource. 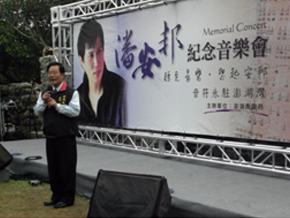 Plenty of museums in Taiwan have been established for commemoration or even named after a celebrity, such as The Memorial Museum of Yang Kui Literature, Zhong Li-He Literature Museum and Juming Museum. These are examples of the integration and application of local celebrities and local cultural resources. 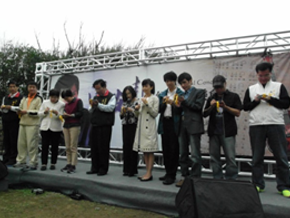 What about the celebrities linked to Penghu? “Breeze at night gently sweeps Penghu Bay while waves patting the beach…” These lyrics come from the popular song “Grandma’s Penghu Bay”, and have been passed down to every generation. Does it sound familiar? With the pleasing melody and sea breeze, tourists have come looking for sunshine, beach, waves, cactuses, and even the old skipper depicted in the song. 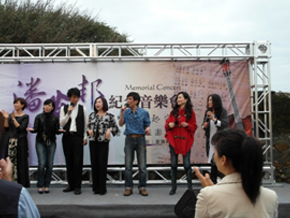 Pan An-Bang was known for “Grandma’s Penghu Bay” and enjoyed great popularity in many areas. 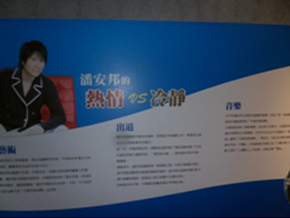 He was born in Penghu. This classic song completely reveals how much he missed his grandmother, tells his memories grandma and depicts the scenes and experiences in his childhood. His grandma was more than the leading lady in the song; she played an indispensable role in Pan’s early life. Penghu Bay is the living space, shared by all Penghu people and every village has its Penghu Bay. We can personally understand his life story through the lyrics. 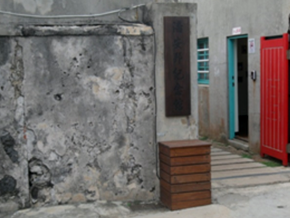 Pan An-Bang Museum at No.5, Lane 1, Xin-Fu Township, Duxingshi Village was originally called Pan An-Bang’s House. It was where he spent his childhood until he left home. It is the place where he lived together with his family and grandma. Penghu County Government revitalized the area with comprehensive design and planning and restored the scene and appearance of military dependents’ community by incorporating Pan’s house into the Penghu Bay Park. 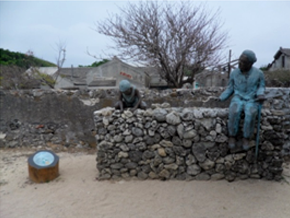 Pan’s popularity points out the planning direction after residents in Duxingshi Village moved to a new community, and the park became a new POI (points of interest) in Penghu. Pan An-Bang died in February, 2013. 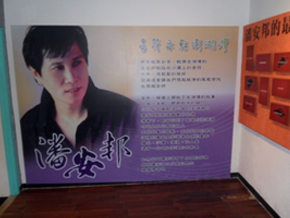 Penghu County Government organized a memorial concert and renamed the house “Pan An-Bang Museum” to pay tribute to Pan. Across from Zhong-Zheng Hall, stands the stele, engraved with “Wu Wang Zai Ju.” Go down the slope next to the stele and you’ll see the house where Pan An-Bang lived. A bright red door first comes to sight. A road sign points to its entrance. The House has been reorganized with the addition of a beautiful courtyard and an exhibition space. This is the place where Pan lived. 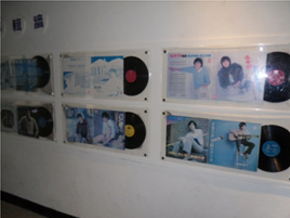 Even though the original look is no longer available, visitors can still get to know the relationship between Pan and his grandma, his signing career, works, interest and music through exhibits. The statues of his grandma and child Pan are situated against the wall outside for tourists to appreciate the close connection between two generations.